Making what you've learnt stick is tough. Sure you're pumped after your training course and super excited to try it out back in the office, but the daily grind of emails, meetings and deadlines is making it really hard to make any progress. Sound familiar? We thought so! That's why we developed a 45-day series of implementation sessions. In those sessions you'll receive personalised coaching from your tutor. They'll walk you through each of the major steps in building your strategy. You and your tutor will develop a strategy and plan that's personalised to your business. 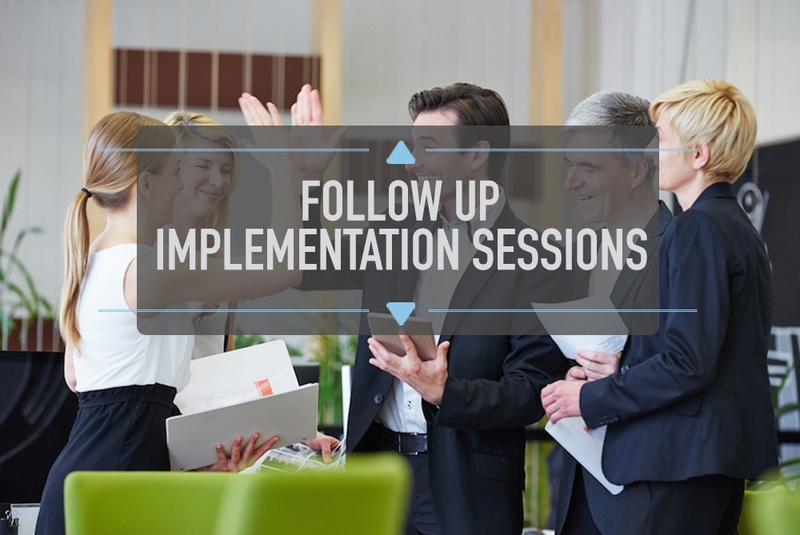 Follow on implementation coaching radically improves time to success. Come away with a fully formed strategy, tactics and plan for your business.